This time, it’s not just the ball that needs saving! Frankie and his teammates are on a dino’s lunch menu in this prehistoric adventure. 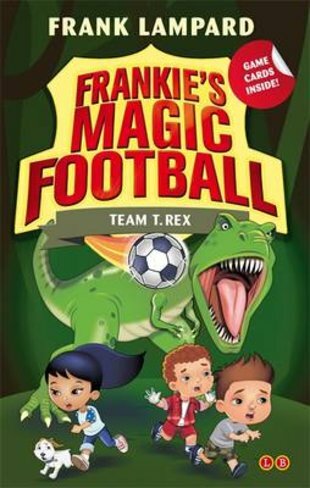 Frankie and his friends are at summer camp when the magic football whisks them into a land of dinosaurs. It’s a scary and wonderful place – but not all the dinos want to play nice. When the friends try to help a stranded baby pterodactyl, a massive T-Rex shows up. It’s looking extremely hungry. Yikes! Can Frankie’s cool ball skills stop it?